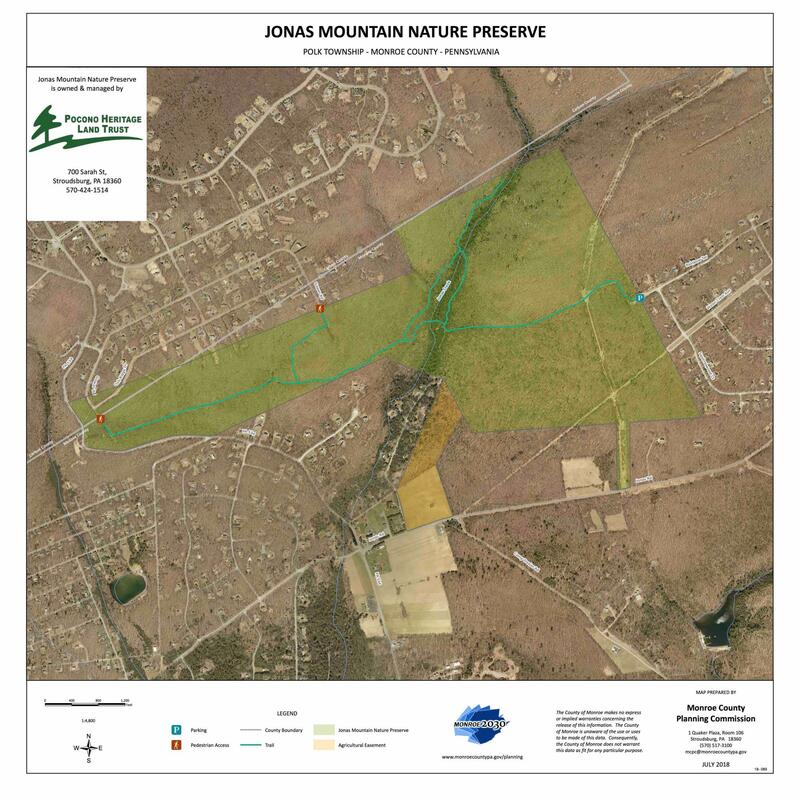 PHLT acquired the Jonas Mountain Preserve over the course of many years. 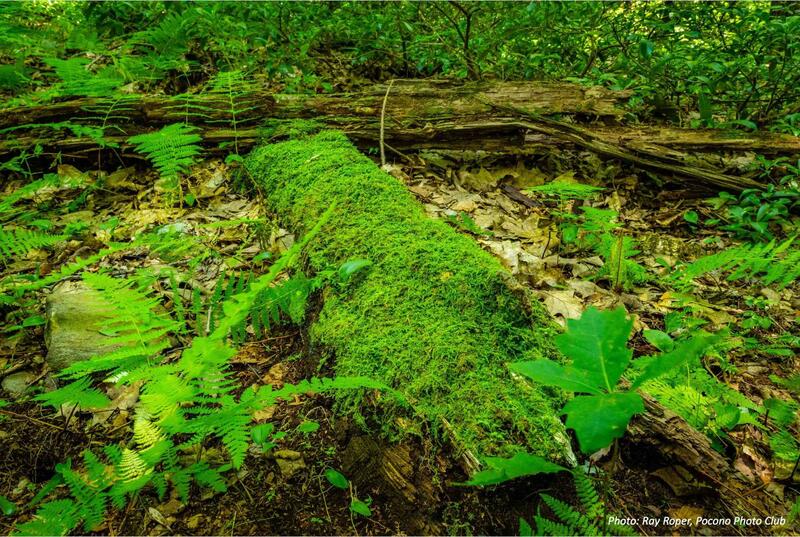 The initial 75 acres was acquired in 2004, and funded by the Monroe County Open Space Program and PA DCNR. 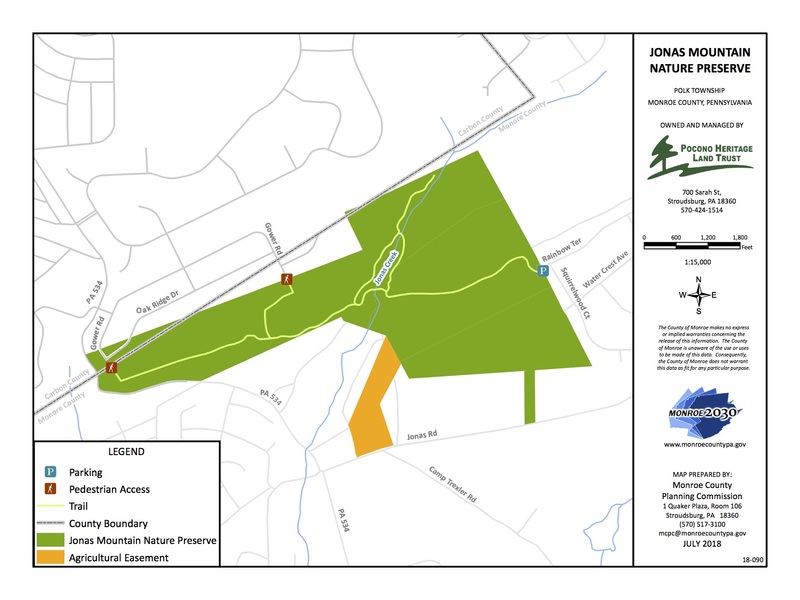 The second part of the preserve, an additional 214 acres, was acquired in 2006 and funded by the Monroe County Open Space Program and PA DCNR. And the final 128 acres was acquired in 2010 as part of a negotiation with PPL as part of a new powerline construction project, and was funded by the Monroe County Open Space Program and PA DCNR. 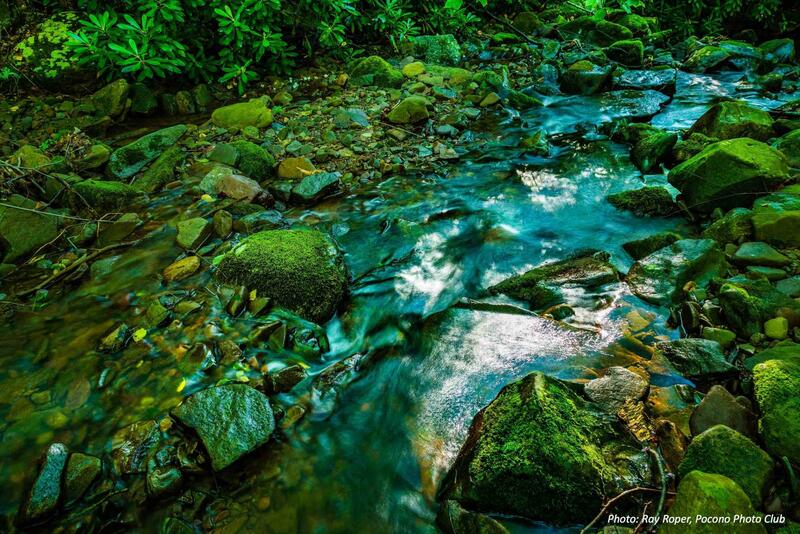 The Preserve includes a number of prolific coldwater springs that form the headwaters of Jonas Creek, an "exceptional value" (EV) trout stream that is a tributary of Pohopoco Creek and the Lehigh River. 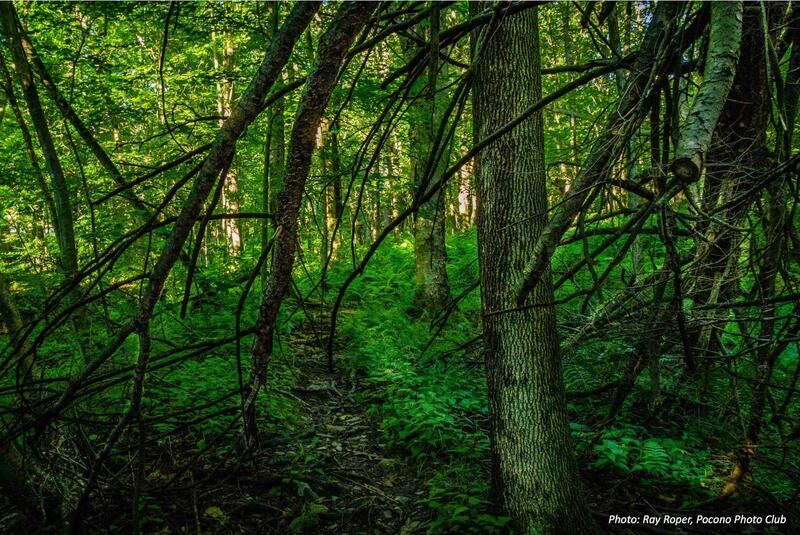 The Jonas Mountain Nature Preserve represents one of the largest areas of unfragmented forest in Polk Township. 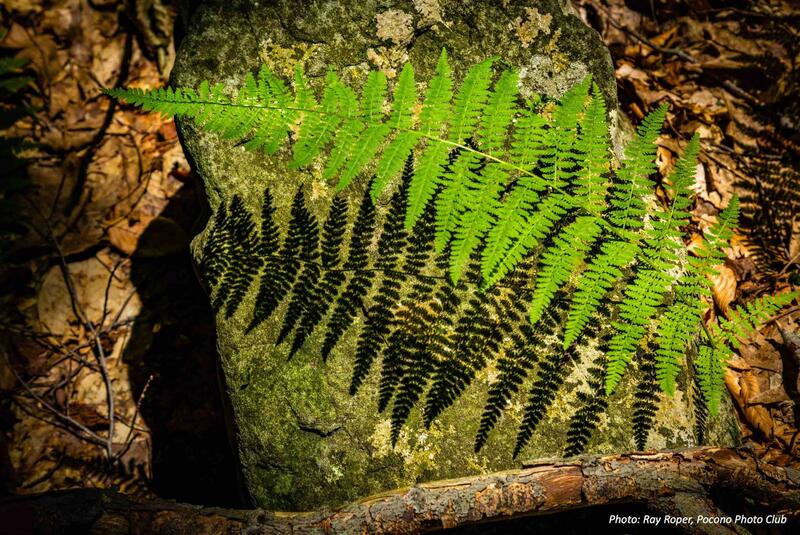 The area in general is known to provide habitat to four species of special concern, approximately 160 bird species, and provides cover and forage for deer, bear and many smaller mammals.